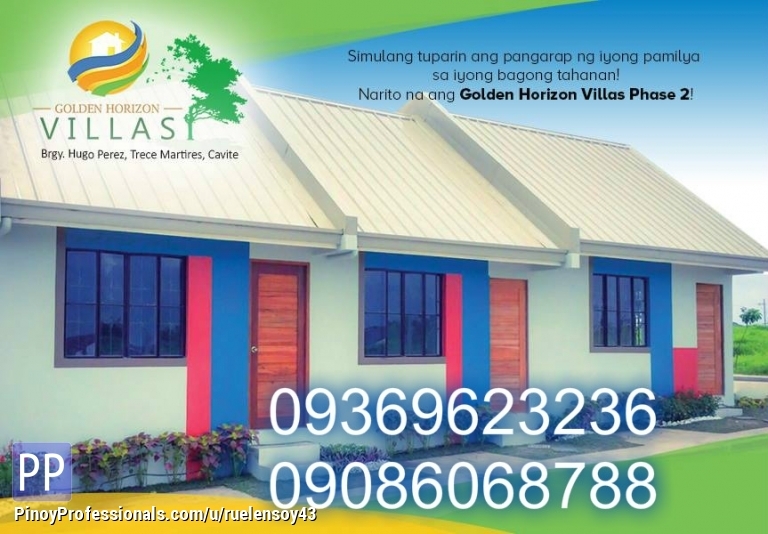 GOLDEN HORIZON VILLAS is a community where schools,market,multi purpose hall,police outpost and transport terminals are a few steps away from the convenience of your own home. 30 years : P4,822.31/per mo. 20 years : P5,452/per mo. 10 years : P8,303/per mo.